Bundling dialogue with demarcation. 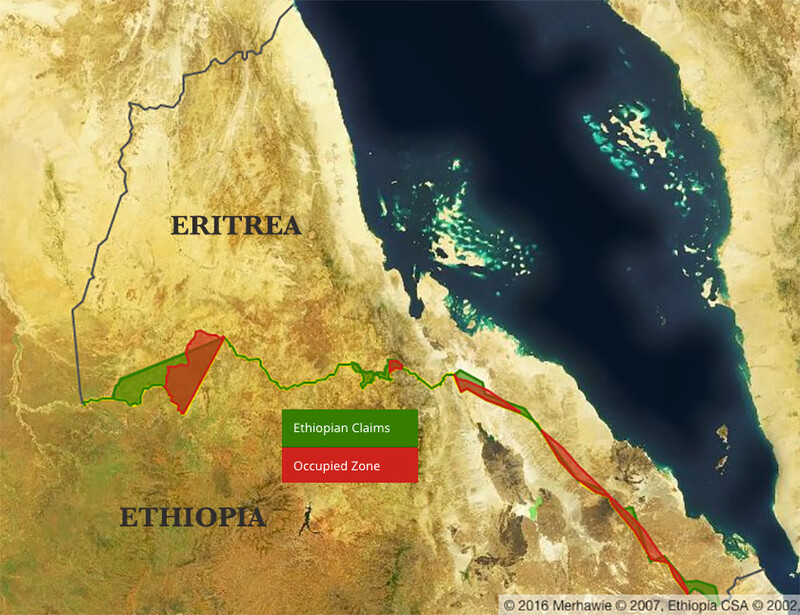 What is Ethiopia’s underlying motive behind its desperate call for a dialogue with Eritrea before demarcation of the border, although demarcation is not an issue anymore? It is to be recalled, the EEBC gave its final and binding verdict anchored on the most meticulous consideration of all the known categories of territorial claims. But what is even more fundamental here is that the EEBC has most conspicuously relied upon the pertinent historical treaties and associated international law categories that shaped the configuration of the border between Eritrea and Ethiopia. Here the reader must realize that of all the categories of territorial claims, the application of the Treaty Law is paramount because treaties are verifiable material evidence embedded as they are in written documentation including maps and other cartographic material and physical references. They contain legally recognizable agreement voluntarily entered by the parties concerned. To borrow a business management term TREATIES are S.M.A.R.T. ie Specific-Measurable-Achievable-Realistic-Time (should I say Timeless). They are there and will remain out there. No amount of false rhetoric of irredentism can change their essence and historical value. Now my intention here is not to counter-argue to the incessant call, by whoever may be, for dialogue before demarcation, to resolve the border dispute if that was the real issue. No, I do not want to dignify this malicious and futile scheme by responding to it. But since we are living in the hyped digital age, Eritrea’s explicitly justified rejection of this misplaced quest for dialogue may be misunderstood either due to ignorance or by design, I shall attempt to briefly remark on this saga. 1) that the border is demarcated and what remains is erecting sign pillars on the ground. Accordingly, demarcation is no more an issue. 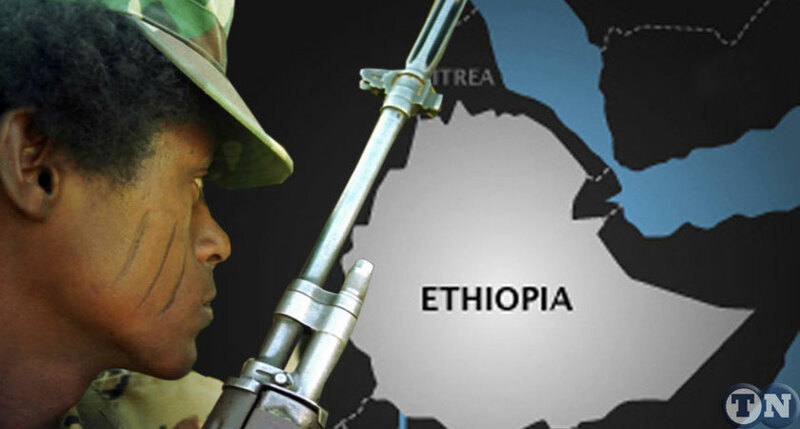 Here the core issue is the withdrawal of Ethiopian forces from sovereign Eritrean territories. 2) that the EEBC verdict is final and binding. As may be recalled subsequent to the release of the final and binding verdict, the Ethiopian side was in the seventh heaven calling for national celebration big time! The spokesperson of the regime boasted and declared victory claiming that they got everything they argued for. But wait – Oh Badme? As expectedly as can be, the flashpoint town of Badme indeed belonged to Eritrea. With lightning speed effect, the TPLF showed its true colors of deceitfulness and the rest became history. They began to make U-turns and flip-flopped on their wilfully committed acceptance to abide by the Algiers agreement. But when one is shameless one is also shameful! Let me now turn to the wickedly contrived agenda to create an association between the issues of dialogue and demarcation to the point of convolution. What I find outrageous is the fallacious and most illogical attempt to bundle the two together. For any person with no midget mind and if we are to be guided by common sense, the two issues are not only separate but are also unrelated and mutually exclusive. Demarcation in this dispute is a technical and legally binding and final process by which the two countries willingly agreed in advance to resolve their dispute as governed by applicable international law to determine the borderline between them. Thus the issue of demarcation is a legal issue. And as such, it is a legal issue that concerns not only Eritrea and Ethiopia but also the UNSC and the all the guarantors of the Algeries Agreement. This is because adherence and submission to the deliberations and final adjudication of the International Court of Justice as an international legal instrument employed to resolve disputes like this one are at stake. On the other hand, the issue of dialogue is a separate non-legal issue that has nothing to do with the settlement of the dispute. It may or may not come up subsequent to demarcation. However, it can be pursued in order to deal with the normalization of the bilateral relationship and promote peaceful coexistence beneficial to the two countries in the aftermath of the settlement of the dispute. It is dependent upon mutual acceptance to cooperate for whatever purpose both parties deem necessary. As such it is a voluntary and an evolving process that both countries can agree or disagree to undertake without any precondition and/or being obliged by any unauthorized binding enforcement mechanism. I have never come across any precedence where two independent countries were legally forced to establish a relationship of this nature. Are we here for forced marriage? Nonetheless, in my opinion, such a mutually beneficial, voluntary, sincere cooperative and forward-looking relationship should be desired as this can help jump-start the healing process of the deep scars left by TPLF initiated invasion and war. Nevertheless, the fundamental question that any person ought to ask is, what is the underlying rationale of Ethiopia’s revolving prime ministers’ noises of seeking dialogue with Eritrea before demarcation? They proclaim they accept the EEBC verdict in full. I remember at one point the late PM Meles Zenawi said Ethiopia fully accepts the verdict in principle and even up 85% of the border demarcation. Did he mean Eritrea should cede the remaining 15%? This is absurdity of the highest order and what reason is there accepting 85% to the exclusion of 15% does not virtually invalidate the declaration of the principle of full acceptance of the EEBC verdict? But how can he explain to us from his grave as to what he meant by accepting 85%? Of course, as is typical of his nature, it did not take him long to dump his very words altogether next time around. Clearly given such devious behavior, one wonders when will this spiteful beating about the bush stop as every incumbent Ethiopian Prime minister seems to follow his predecessor instead of addressing the issue head-on and be done with. If one was to make any sense of this plea for dialogue, it should have been wise and necessary before the war of invasion when Eritrea forcefully called for. Of course, it does not take Einstein to figure out this audacious illogical PR gimmick. What they want is to take the issue out of the legal framework of the Algeries Peace Agreement and put on the table some of their hidden demands [not hidden for genuine Eritreans] unacceptable to Eritrea and then cry foul. And when their untenable argument fails they would declare: “people of the world behold! We want peace but the Eritrean government rejects the peaceful resolution of the dispute and continues with its aggressive stance’’. Because they know they do not have valid legal ground, they believe if they beat the drum of peace and dialogue too hard and too often, they might succeed to realize their obscene agenda of putting conditionality to the sovereignty and territorial integrity of Eritrea retrospectively. This is what resides in the minds of the common TPLF thugs and some of the Amhara ethnic group members. They think they possess extraordinary genius that can easily outmaneuver the Eritrean psych. Certainly, we know they knowingly and deliberately lie and distort historical facts in the hope that they are clever enough to persuade a few hired renegade Eritreans to speak in their favour in the name of Eritrea. How often have we heard them recycling their disgusting assertions that ‘had it not been for the stubbornness of the political leaders, the Eritrean people would not have wanted to secede from their motherland Ethiopia’ as if the country was not under occupation and devastating subjugation! Such is their deluded audacity. No wonder, blatant falsification and untruthfulness bode well with them and are hallmarks of their calculated and distorted narration when it comes to the historical relationship between Eritrea and Ethiopia. But we Eritreans know that to tell a lie is ok from the perspective of Ethiopian body politic so long they believe it may deliver. And unfortunately, it is ingrained in the culture. It seems they are uniquely incapable of accepting the historical truth and facts of Eritrea’s history. Recognition of Eritrea’s factual history and the stark reality of its lawfully cleared independence is an anathema to some of them. Frankly, there can’t be more culpable moral and ethical demeanor than this. And I say they would be well advised to leave Eritrea in peace and be concerned about the continuity of Ethiopia as this hangs in the balance. Regrettably, I also hear not only some naïve people but also some people in the diplomatic circles, never mind the various fake think-tank experts, calling for dialogue. But whether an absurd and a nonsense idea is espoused by one or a million people remains the same – absurd and nonsense. I accept, for some misinformed people, the word dialogue may sound attractive and I have no problem with that. Ignorance ought to be pardoned and they may make amends when enlightened. But one of the most serious problems I have is with diplomats disposed to promote this preposterous and superficial argument of dialogue. While they probably know that it is not a workable suggestion and does not address the issue at hand head-on, they nonetheless entertain the idea of dialogue. Either by intent or predisposition, they gloss over the point at issue and dwell on advising both countries to resolve their difference peacefully – adding insult to injury as they say. Although I dare not call this childlike, it is one of the detrimental and prevalent modes of thinking laced with diplomatic niceties that undermines UN authority to a point close to dysfunctionality. As any layperson with the interest of the peoples of the two countries in my heart, I fully support dialogue to move forward and gear all efforts to cooperation and development on the basis of a win-win situation. In this respect, Ethiopians to whichever ethnic group (although these days it is difficult to speak of one Ethiopia) they belong, must come to the realization that the interest of the peoples of the two countries is best served when they desist from their misguided and fallacious allegation that Eritrea wishes evil to Ethiopia. I am here referring particularly to those Ethiopians who knowingly and deliberately include PFDJ (Shaebia) in their feeble attempt to attack the Weyane clique. Amazingly, for all the ills Ethiopia faces, they say Shabea is to blame. What can one say to a mindset defaulted to a configuration bordering insanity? May God have mercy on them! I also urge them to accept the stark reality that the Eritrean Red Sea coastline is Eritrean and jettison the inane syndrome of outlet to the sea and stop building castles in the sky with the full knowledge that Ethiopia can also fully avail itself to meet its maritime services with the mutual agreement of the two countries. Incidentally, this has been the stand of the Eritrean government all along. Finally, let me close by restating that demarcation is not an issue anymore. What is at issue is when will Ethiopia pull out its forces and end its occupation of Eritrean territories. Theatrical rhetoric aside, what exactly is the new Prime minister of Ethiopia going to do? His olive branch gesture is not even as clear as mud. Only when he takes the overdue decision of evacuating his forces from Eritrean lands will his call for dialogue and peaceful coexistence resonate with the peoples of Eritrea and then harvest the fruits of the synergistic and collaborative relationship between these two wonderfully unique countries.